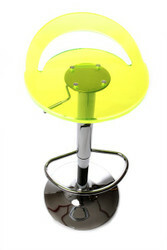 Casa Padrino offers a phenomenal and futuristic eye-catcher with its unique and imposing polycarbonate bar stool collection. Whether you are designing this bright, futuristic yet very elegant and modern piece of furniture in your business premises or at home, you will always have something very special with these unique pieces of furniture and inspire your guests. Enchant your premises into a stately oasis of modern living culture. 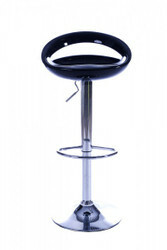 Known from clubs, pubs and bars, bar stools and other bar furniture are now becoming increasingly popular in private homes. 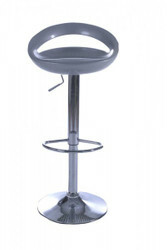 The bar stools serve as a seat for your garden or home bar or in combination with a bar table to a modern dining group. 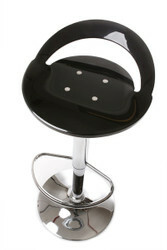 Find at Casa Padrino, the baroque wholesale from the beautiful city of Essen (Germany), just the right bar chair for your needs. Our exclusive polycarbonate furniture can be easily combined with other pieces of furniture to suit every style of furniture. We at Casa Padrino also offer you an uncomplicated and Europe-wide delivery at reasonable and fair prices. Idealism and passion are very important at Casa Padrino. If you have questions or special requests regarding our offers, please call us on the hotline + 49-201-36577485 and our qualified support will help you in every detail! Casa Padrino, your baroque wholesaler on the internet and on site. Just magical.